As businesses become more global and technological advances in AI and automation change the way we work, so does the landscape of recruitment. Whereas in the past most workers had largely interchangeable skills, now the demand for specialised skills is higher than ever. In addition, millennials who require fulfilment and purpose in their roles are the least likely generation to stay in a job for more than a few years. With skilled employees becoming an increasingly important component of company success, businesses are challenged with attracting and retaining top talent. This poses both a challenge and an opportunity for recruiters, who will need to keep their finger on the pulse of major trends to remain competitive. While recruiters will be challenged with identifying skills gaps in a rapidly developing market, we have noticed an interesting trend at Onalytica which can empower business in the talent acquisition process and in retaining talent – social advocacy. Businesses who train their staff to be involved in brand messaging on social channels have a major advantage. The effectiveness of this is two-fold. It allows employees to be involved in company messaging, which increases their affinity to their business and offers them visibility over their impact on the organisation. Simultaneously, this increases brand visibility, perception and customer conversion. Not only do brands benefit from an increase in the number of voices advocating for them, but they also benefit from the fact that these voices are real individuals. And ultimately people buy from people, not brands. We were very interested in seeing which brand and individuals were leading the discussion around future of recruitment, so using a comprehensive Boolean search query we analysed over 1.7M tweets mentioning all the recruitment keywords we identified from 20th November 2017 to 20th November 2018. We then identified the top 100 most influential individuals leading the discussion on social media. What we discovered was a very engaged community, with much discussion between individual influencers. Below you can see a network map of the online Future of Recruitment conversation with number one influencer Meghan M Biro at the centre. This map was created with our Influencer Relationship Management software (IRM). Be sure to click on the map to enjoy the full size network diagram in greater detail. 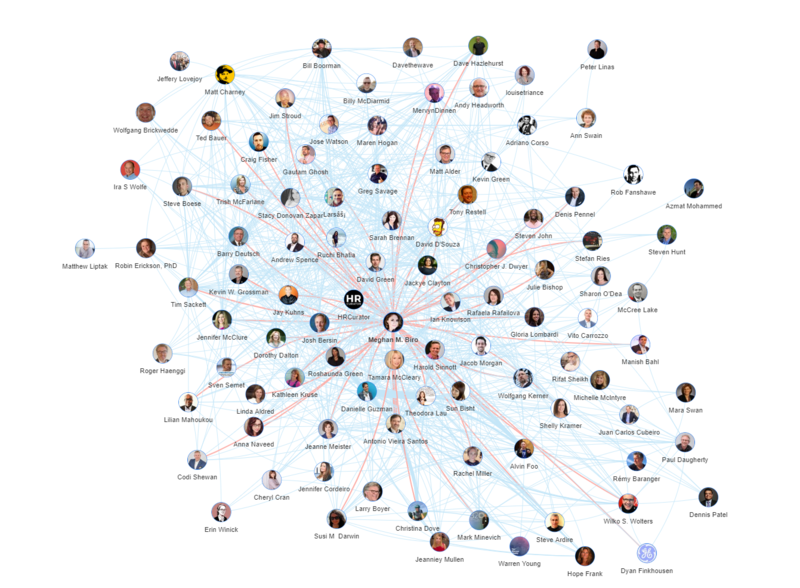 We looked at all the individuals engaging on Twitter to bring you a list of the top influencers in future of recruitment. Below is the top 50, if you want to see who ranks from 50-100 be sure to download the full report by clicking the download button below. At Onalytica we love building these lists and want to give back to our loyal readers as much as we can. If you’re interested in other topics (such as Virtual Reality, Digital Health, Digital Marketing) be sure to have a look on our blog or why not propose some topics to us on Twitter? Disclaimer: As ever with these lists, it must be stressed that the ranking is by no means a definitive measurement of influence, as there is no such thing. The brands, individuals and publications listed here are undoubtedly influential when it comes to driving discussion around the future of recruitment. The PageRank based methodology we use to extract influencers on a particular topic takes into account the number and quality of contextual references that a user receives. We looked at social topical influence as well as topical authority by analyzing both their social engagement on Twitter and how much influencers were referenced in association with the future of recruitment on Twitter, Instagram, Facebook, YouTube, Forums, Blogs, News and Tumblr content. These calculations also take in to account a user’s resonance (engagement) relevance (number of posts on topic) and reach (number of followers). If you want to learn more, please read our article that outlines How to identify your target influencers. 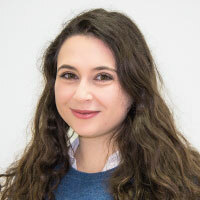 Eva is a Senior Customer Success Manager at Onalytica. Specialising in strategic consultancy to help customers drive success through an effective influencer marketing strategy. 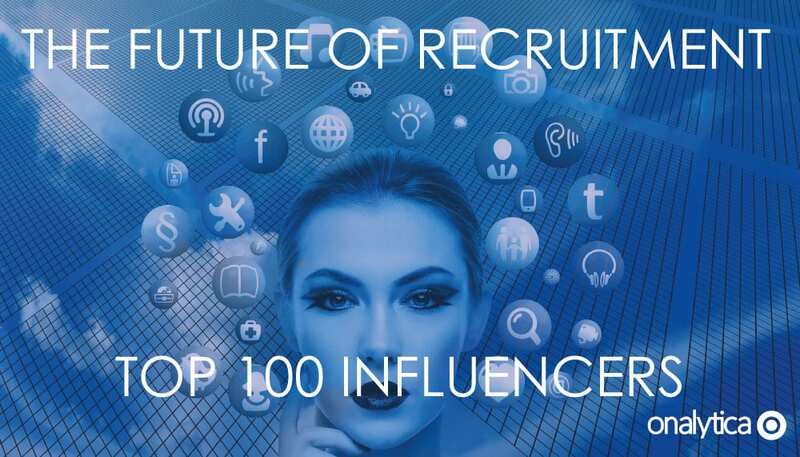 Download this free report to learn who are the top 100 influencers in the Future of Recruitment.